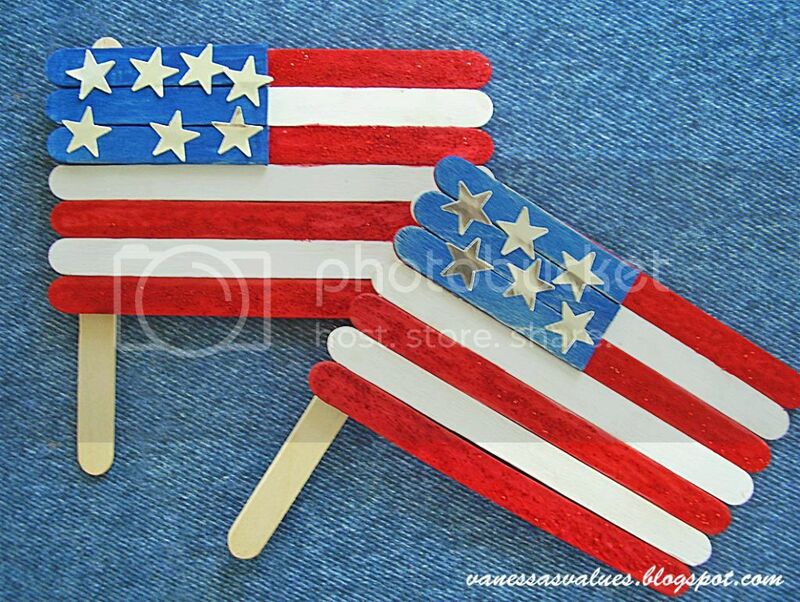 To celebrate the 4th of July we made popsicle stick flags. The boys were thrilled and can't wait to take them to the fireworks show tonight. These were very simple and inexpensive to make and you may already have all the materials on hand. First, we painted 3 popsicle sticks white and used 4 red popsicle sticks. We cut 3 popsicle sticks 2 1/4" long and painted them blue. 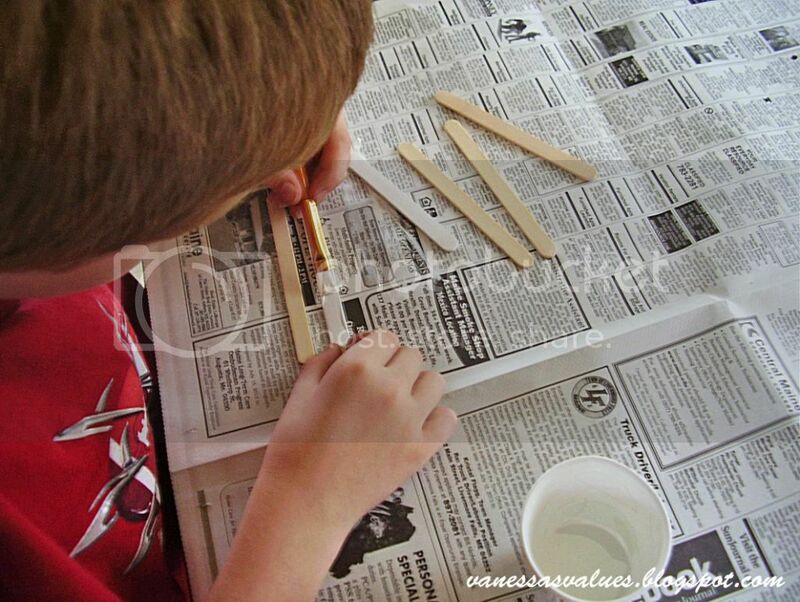 The popsicle sticks are surprisingly easy to cut with a pair of sharp scissors. 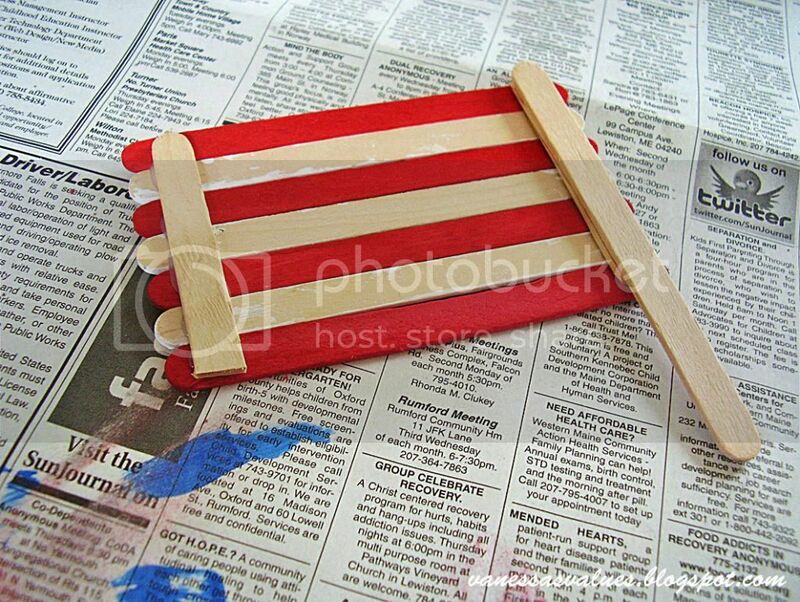 Next, we lined up the white and red popsicle sticks. I cut a popsicle stick 2 1/2" long and glued it to one side and glued another popsicle stick to the other side. You can use white glue to glue the popsicle sticks together, but I used a glue gun since it dries very quickly and I thought it would hold together better. Just a reminder - be cautious when using a hot glue gun around small children. We glued the blue popsicle sticks and added star stickers. If you have a tiny star punch, paper stars could be glued on. 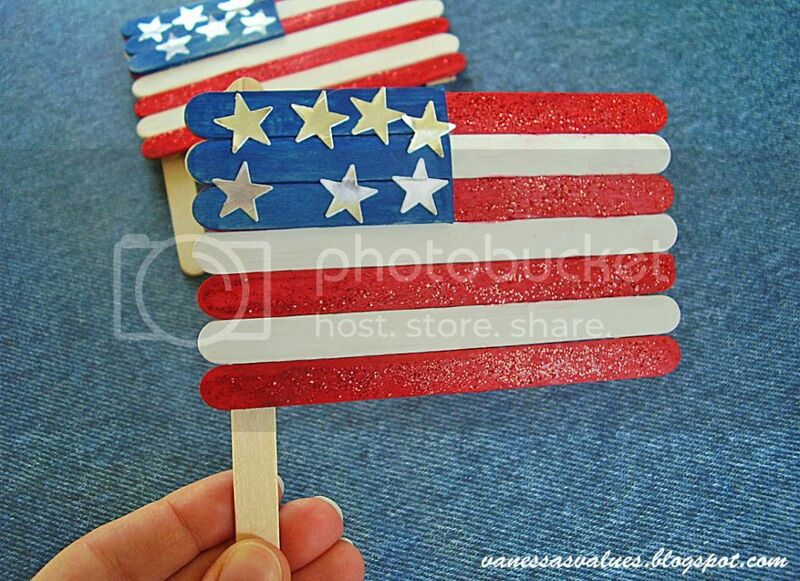 We added some sparkle by using a paint brush and painting red glitter glue onto the red popsicle sticks. Glue and glitter could also be used. Great idea! I am planning an Election Day #unit study in the fall and I think I will be including this craft. That's great! So glad you were able to use this little project. This is crazy cute. Just what I was looking for. These are so fun Vanessa! Pinned!